MAF has today released a discussion document seeking views on extending the voluntary folic acid fortification of bread from May to September 2012.
? 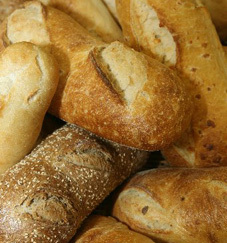 Option 1: status quo - introduction of mandatory folic acid fortification of bread on 31 May 2012.
? Option 2: extending the date by four months to September 2012 to allow further consultation and consideration of the issues. "If the extension is supported, MAF will carry out a full eight week public consultation on whether the New Zealand Food Standard for folic acid fortification of bread should remain voluntary or become mandatory." says Julie Collins, MAF Director Biosecurity, Food and Animal Welfare Policy. "The extension of time from May to September this year will allow the latest scientific research in New Zealand and Australia to be taken into account in the decision making by the Minister for Food Safety. "MAF is committed to working closely with public health stakeholders and the baking industry to ensure all key issues are considered. "We will also work with the Folic Acid Working Group established by the Minister in 2009 which includes industry representatives, health professionals, academics, government officials, and groups who represent families affected by neural tube defect pregnancies. The Working Group supports more time to allow a full discussion of the issues," says Julie Collins. Submissions on 'Folic Acid Fortification: Extension to the commencement date' close on 24 February 2012.